A CJDS education is not one that will focus only on filling students’ minds with information. Rather, our teachers strive to make learning come alive for our students. We want our graduates to emerge from CJDS with a deep sense of commitment to Tikkun Olam – repairing the world – and social responsibility. It starts with small, daily actions. You will see in our hallways that every garbage can has a recycling bin next to it. And in several designated spaces, Terracycling spaces that collect specific items. At lunch, volunteers from grades 2-6 collect plastic bags, terracycling items, recycling, and compost. All of the collected compost is eventually used to help fertilize the six outdoor classrooms and gardens on our campus. Beginning in kindergarten, our students take field trips to the Wexner Heritage Village to visit with and help the elderly community members. 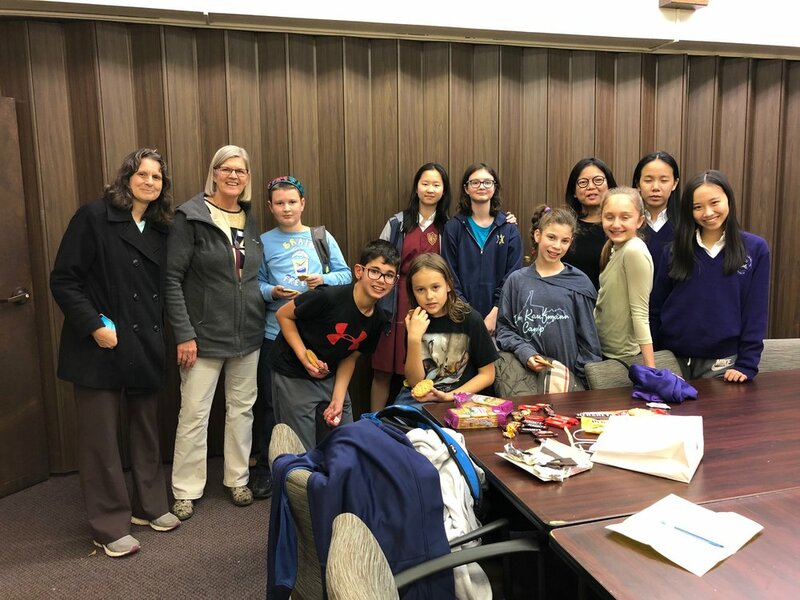 By fifth and sixth grades, the students visit up to eight times each year with different missions – decorating the sukkah, delivering produce from our gardens, interviewing veterans for Veteran’s Day, or learning together. In third grade, students can choose to join the Tzedakah Club, which spearheads all of the student fundraising for the school. The group researches important issues going on in the world and organizations that are helping to make change. They then organize fundraisers for those groups. The group focuses on donating what is needed – not just what feels good to us. In this way, we are ensuring that our students are thinking critically about their social responsibilities. We are currently collecting money for disaster relief for the various natural disasters that occurred in fall 2017. Our graduates often continue in their commitments to Tikkun Olam in ways that are meaningful to them. See Zach Rodier’s sled hockey Bar Mitzvah project here. Read about Pierce and Isle Grossman’s Pay It Forward project here.